Trader Cards - The front and back of your cards are printed on photographic paper and reinforced with a rigid layer. 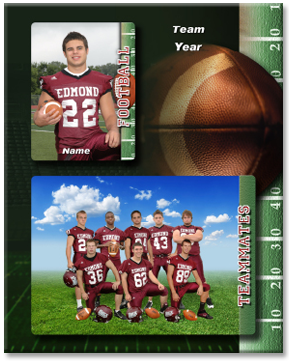 The cards feature the athlete's photo on both sides, and customized with the athlete's and coach's names, and the athlete's vital stats. 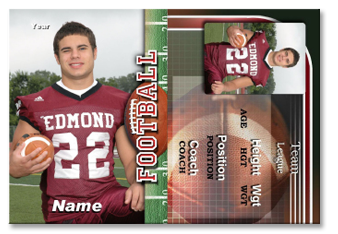 Sports Photo Button - Show your parent's pride with a 3" photo button that can be customized with the athlete's name. The buttons also make it easy for other parents to identify other parents at games and school functions. Memory Mate - This contemporary upgrade of the traditional Memory Mate features your athlete and team photos. 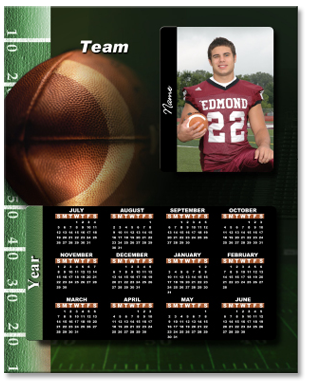 Photo Calendar - Your calendar can be customized with the athlete's name, year, and the name of the school or team. The calendar's monthly start date changes quarterly. 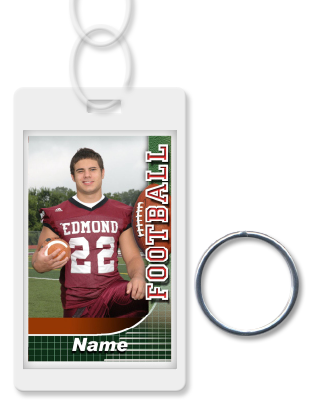 Luggage Tag and Key Chain - Luggage tag and key chain both come with a vertical photo and can be customized with your name and address. The luggage tag comes with a durable plastic band, and the key chain comes with a metal loop for your keys. 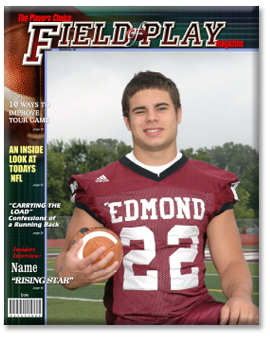 Magazine Cover - How great to be featured on your own personalized magazine cover! 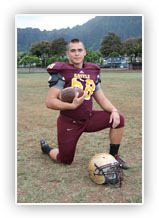 The 8x10 print can be customized with your name and date.